The photos on these pages were taken in 1960 and unfortunately are not good quality. 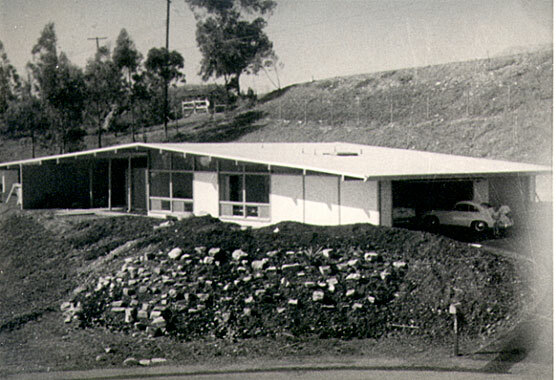 The house was built in Palos Verdes (near Los Angeles), California, by Chet and Robin Brisco, my parents. I was 6 years old. This photo shows the newly-built house from a lot across the street. A 1959 model 356A Porsche is on the right side, part way into the garage. The Danish modern furniture and the lighting fixtures used inside were imported directly from Den Permanente in Denmark, a craft foundation sponsored by the state. Click the arrows above the photo to take a tour. 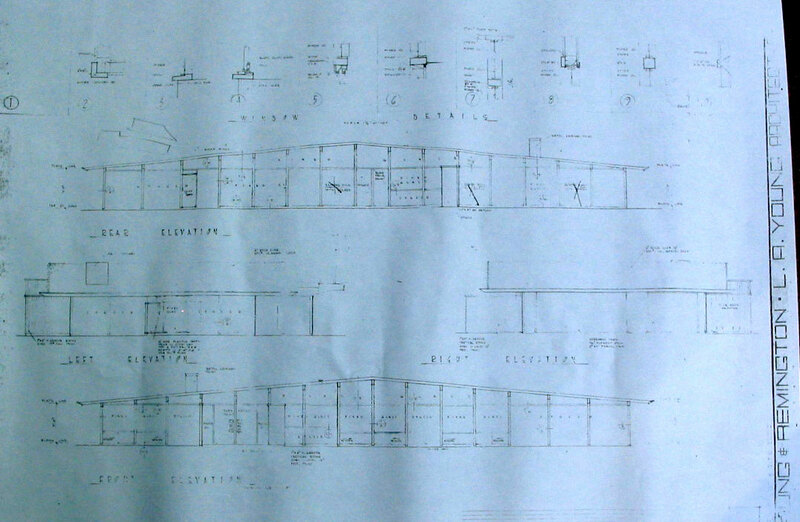 View a photograph of the original elevation drawings.